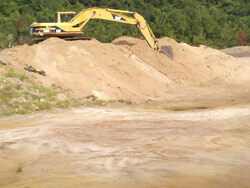 Our legacy begins in 1988 as a small grading contractor in Cape Carteret, NC. By building relationships within our community through quality work and met expectations, we have successfully grown in size and capabilities. Today, Sunland continues to enjoy being a “community partner” serving Carteret, Craven, Onslow, Pamlico, Pender and New Hanover counties. In 2008, Sunland earned the privilege of becoming a MACC Prime Contractor serving the military bases in Jacksonville and Cherry Point. 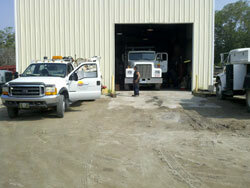 Our commitment to safety and quality begins with continual training of our employees. All field supervisors maintain First-Aid and CPR certifications, Competent Person, Trenching & Excavation and Confined Space credentials, OSHA 30-hr and US Army Corps of Engineers Construction Quality Control Management certificates. Supervisors conduct weekly job site safety meetings. Sunland Builders Inc. is a fully insured and bondable NC General Contractor (License #24941 Building--Unlimited and Highway, Water & Sewer Utilities).